The United States Postal Service (also known as USPS, the Post Office or U.S. Mail) is one of the few government agencies explicitly authorized by the United States Constitution. 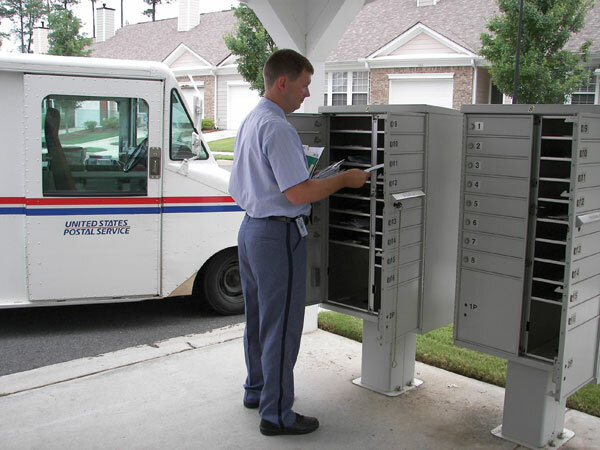 The USPS employs over 574,000 workers and operates over 218,000 vehicles. It is the 2nd largest civilian employer in the United States. It was originally the brainchild of Benjamin Franklin during the Second Constitutional Congress in 1775. It became a cabinet level post in 1792 under The Postal Reorganization Act. Apparently, the Republicans don’t care about this Constitutionally mandated institution because they’re doing anything they can to cripple the USPS. 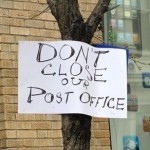 2011 saw massive closings of postal facilities, thereby laying off thousands of workers. But naturally, it’s President Obama’s fault when folks lose their jobs, right? Not only will 8 million jobs be affected, imagine the cost to ship every single print magazine, newspaper, bulk mailing and prescription medication doubling in price as private mail service is so much more expensive. What’s next? Privatizing the military? Oh yeah, that’s happened to some degree. See Xe or Halliburton. The GOP wants to destroy any industry, any industry where workers are unionized. Simply look at Ohio Governor John Kasich, Anti-Union Governor of Ohio and his efforts to quash collective bargaining rights. Republicans are essentially demanding the The Post Office Fund 75 Years of Pensions and Healthcare Over a 10 Year Window. It’s downright impossible. The assault came from the GOP members of Congress, in an effort to privatize mail delivery. See 3 Lies at the Heart of the Republican Effort to Close the Post Office They fail to mention how many thousands of small towns will be without mail service, but when have the Republicans ever legislated in favor of anyone but big corporations?